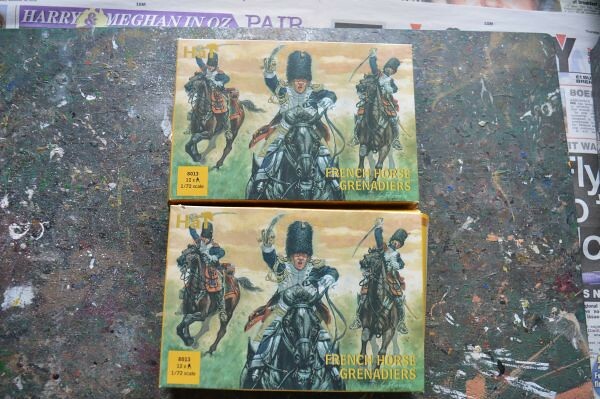 The latest was the new Airfix Wellington, though I have just ordered some new boxings of a number of Airfix releases. One was the Martlet. The more I look at this kit, its superb tooling and its mass of alternate parts, I reckon that it is my highest scoring kit of all time. That's pretty good going when you judge it against the other releases. Scores full marks on detail, ease of build, value for money, some great schemes and those alternative parts for posing the wings out and folded. My stash is decidedly Red these days. Looking forward to getting some nice new 1/48th releases soon. Hunter and Blenheim. My latest acquisition is the 1/24 Mosquito, but that's for Christmas and I need a lot of practice before I start that one. My next build is the 1/48 new tool Hurricane, really looking forward to getting my teeth into that, looks a lovely kit. I still have a bit more research to do, I want to do it as V6985 of 111 Sqn at Dyce in March of 1941. I know 111 used JU as an Sqn ID. Just need a bit more info on the Aircraft letter. Auction night this evening at the Cape Peninsular IPMS here in Cape Town and reduced my stash by 3 models the Airfix HMS Warspite, and focke Wulf Mistrel ( Fw 190 A with the Ta 154 ) and a Revell (Ex matchbox) Swordfish, But I had to come away with something. I was hoping someone would donate the old Airfix Do 17E/F, but again not this year but I did pick up a very old Vintage Airfix kit almost as old as me. The old Airfix Historical Ships Revenge still in it's original plastic bag & header. The only thing not original was the Check List. I'll post pictures in the Shipsforum next week but a scan of the header will have to do for now. The decals look a bit shot; I'll have to get some new ones printed; but the printed ratlines are there, should be fun. Are lots of memories flooding back??? I had a lovely chat with the vendor, who I believe is the French proprietor of FRROM/Azur. The R-31 is the only Belgian aircraft, designed and built in Belgium, to have served in 1940. I know it has some issues, but it's a Sunderland MkI. What's not to like? Well, apart from where it's going to live. I forgot how big a Sunderland actually is, even at 1/72nd scale! An oldie, not without its problems. However, it wasn't expensive, and I like a challenge. Although the box is battered, the plastic inside is still in its sealed bag. Another one crossed off my 1940 want list. Again, technically superseded by a modern variant from A N Other manufacturer, this 1970s boxing is well under half the price of the newer one. My theory goes if there are flaws that need working around, I'd rather do it on this kit than a really expensive one. Besides, the option is always there to get the newer kit eventually. I hadn't planned on a Stirling for my 1940 fixation, but apparently they were beginning to enter squadron service at the end of the year, albeit not at full mission strength until 1941. I also got some tools, but they're not worth photographing. So, my stash is rapidly outpacing my storage area. I may need an urgent rethink about how I keep the growing hoard.